The Catalina 36 hits a sweet spot among weekend cruisers. It’s big enough to be comfortable and capable, but small enough to easily manage it shorthanded and it comes at an approachable price. A boat with maybe 15 years of depreciation but overall “good bones” is a perfect refit candidate. Catalina has been a successful manufacturer of well-built boats with broad appeal, delivering great value. It has mastered the art of brand loyalty and has owners who started with a Catalina 22 and upgraded every few years to eventually own the manufacturer’s biggest boats. The 36 was an extremely popular boat on the larger end of Catalina’s line, with more than 3,000 delivered. The first models rolled out in 1982 and the boat was redesigned in 1995 as the MkII. 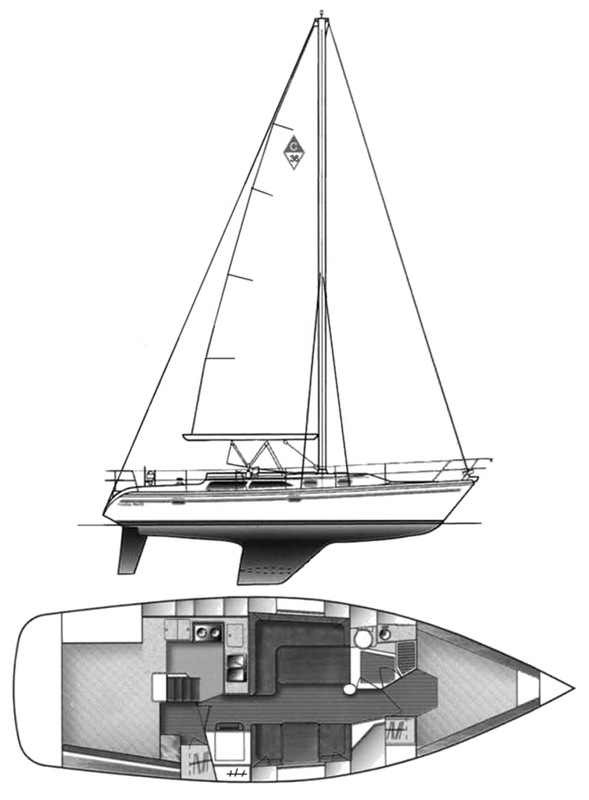 The newer model has a much more modern design, carrying its beam farther aft and opening the transom into a useful swim step. We chose a 1999 freshwater boat, which is always a good thing to look for when buying used. Boats from the Great Lakes are little time capsules: They only see six months of use each year, all of that on freshwater, and the rest of the year is spent snug in a building or boatyard. 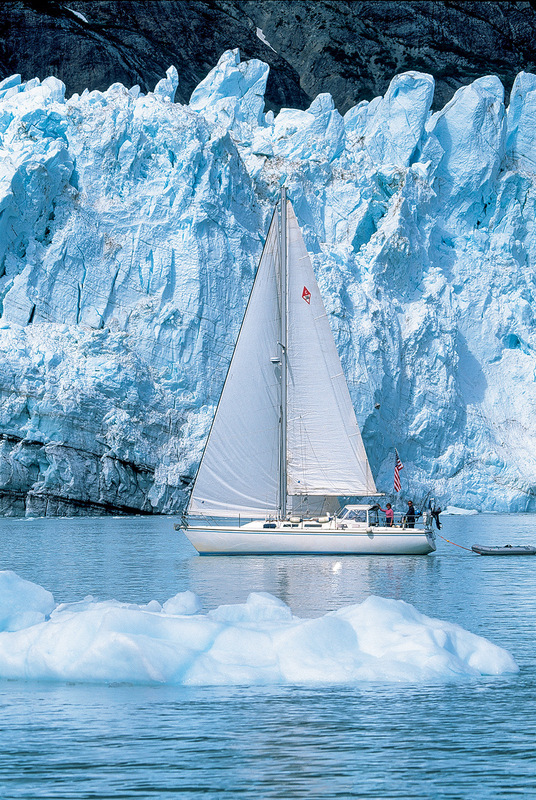 Such boats typically have about half the wear and tear of boats from the coasts, and none of the telltale signs of saltwater exposure. You can expect to pay between $75,000 and $90,000 for a Catalina 36 MkII of this vintage, depending on condition and equipment. I bought the boat right out of the boatyard, so a good clean up was first on the list. Once the boat was washed up it was clear that it needed a buff and wax, and there’s something about a boat that looks beautiful on the outside that makes it easier to delve into the less flashy projects ahead. I used 3M Finesse-It II on a foam pad and topped it off with two coats of 3M Marine Scotchgard Liquid Wax. I have used buffers for a long time and have a pretty deft touch with them, but for this job I upgraded to a Porter Cable 7424XP random orbital buffer. This buffer stops the pad if you push too hard, making it impossible to burn the finish, as is common with regular buffers in the hands of a person with fatigued arms. The buffer, pads and 3M products cost $210. The boat came with a serviceable coat of Interlux VC-17m, but it was a little thin in places. We scuffed up the bottom with 320-grit paper on a random orbital sander, cleaned up the residue with Interlux Special Thinner 216, and rolled on two thin coats of paint. It took three quarts of VC17m to do two coats, we paid $55 per quart. A quart of 216 was $20, and we spent another $25 on sanding disks and rollers. Our bottom was in good shape for just $210. The outside of the boat was looking good, but down below things still smelled like a boat and not a particularly clean one. I washed down every surface I could get to with bleach water, rinsed everything with hot water and followed up with a bucket of water and diluted mild cleanser. The boat has a Universal 35M—a great little four-cylinder engine based off a Kubota block—and it only has 1,100 hours on it. The engine only needed routine maintenance, so we changed the oil and filter and replaced both the on-engine fuel filter as well as the cartridge in the Racor primary fuel filter. I cleaned the entire engine with some spray cleaner, and touched up a bit of paint with a factory-matched spray paint. Westerbeke owns the Universal brand and offers full spare parts, including touch-up paint. The paint is $32 a can but is a perfect match. Aside from just looking good, a clean engine allows you to see any leaks or drips, and take care of them right away. All in, engine maintenance cost $100. The boat came with delivery-grade sails that were tired and needed replacing. The beauty of a high-volume production boat like the Catalina 36 is that parts are easy to source and because of this we could basically buy sails out of a catalog. Catalina Direct sells replacement parts, including sails, for all Catalinas. I ordered a new full-batten mainsail with two reef points and standard options like telltales, leech and foot cords and a draft stripe. The sail was built from 7.9-ounce cloth and cost $2,300. I also opted for a 135% furling genoa with a foam luff and a Sunbrella UV cover. The boat came with a 150% genoa, but on the test sail I felt like we were overcanvassed much of the time and partly rolling the sail created an unpleasant sail shape. The new genoa cost $2,600. New halyards were also called for as the originals were tired and seemed pretty elastic. I am a big believer in good-quality, low-stretch halyards. Some people think high-tech rope is strictly for racers, but cruisers need performance too. To make sure all the power of our sails was transmitted to the boat, I chose 3/8-inch New England Ropes Endura Braid, which has a tough Dacron cover over a very low stretch Dyneema core. A smaller size would have sufficed from a strength perspective, but I needed the 3/8-inch size to properly fit the winches and clutches. A pair of halyards with new hardware cost us $800. The batteries seemed a little soft on the sea trial, so I pulled them from the boat and took them in to be tested (no small feat when you’re talking about 4D batteries). The battery supply house told me the batteries had lost a lot of capacity, so I decided to replace them and went with maintenance-free East Penn AGM batteries for $900. The worst part was lugging the new ones back down into the boat. The boat needed new flares, but the thought of spending a couple hundred dollars on SOLAS flares that last only 42 months was less than compelling. Instead I opted for a couple of the new Sirius LED flares, which comply with Coast Guard regulations for night use and last a long time with just an annual battery replacement. The flares are visible for 10 miles and will run for six hours on a set of batteries. I’ll keep my old parachute flares aboard but these electronic flares are an interesting new option. The new flares cost $100 each. Rounding out the safety inventory, I picked up a pair of inflatable life jackets. Spinlock’s Deckvest line is ergonomically designed and comes in three sizes for a good fit. The vests are safer too, having innovative features like a built-in light and a hood to keep your face dry. The Deckvest comes supplied with crotch straps too, to stop the vest from riding up, and possibly off, when in the water. Two vests for $700 left a big dent in the refit budget but I’ll be much more likely to wear a PFD that is comfortable and gives me more confidence in the safety, too. Starting with a boat that was in good shape allowed me to focus the retrofit budget on mostly performance-related items, with a handful of safety upgrades. It will be a few years before I need to tackle interior upgrades and there’s a lot of sailing to do before then.